Victron Energy, based in the Netherlands, was founded in 1975 by Reinout Vader, and have been manufacturing power conversion equipment for the marine and automotive industries ever since. 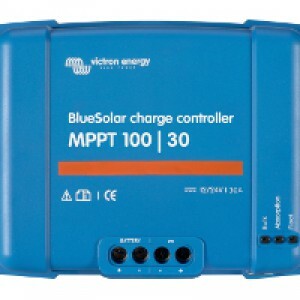 With their distinctive marine blue covers and boxes, Victron Energy off-grid MPPT controllers, inverter chargers and equipment are instantly recognisable, and well-known for their high production quality and performance. We are a proud distributor of Victron Energy, believing that they are top of their game in the solar industry, and leading the way with a strong, technology focused R&D team. 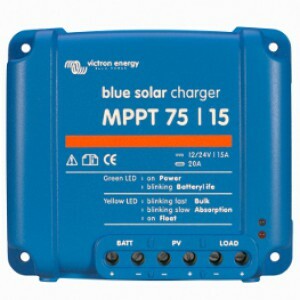 With their iconic electric blue covers, Victron Energy MPPT controllers can be found in the deepest, darkest, depths of most off-grid vehicles and installations. 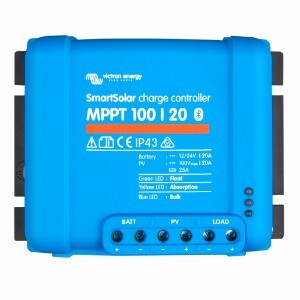 Making their name with the BlueSolar range of MPPT controllers and moving swiftly onto the new SmartSolar (with integrated bluetooth technology where you can set charging parameters and store historical charging data through the VictronConnect App on your smartphone or tablet), the product line covers small, medium or massive off-grid projects. The BlueSolar range from Victron Energy allow a mixture of simple technology with effective performance ratings for solar power systems. 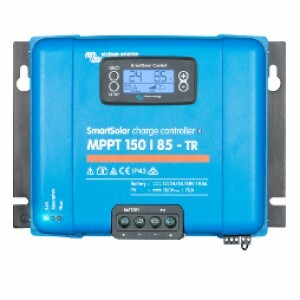 This 15A MPPT solar regulator from can accept a max. 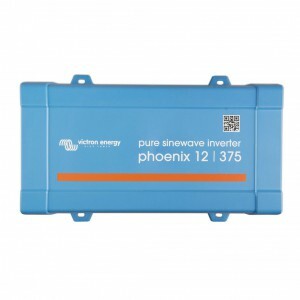 75V solar input and is suitable for 12 or 24V systems. The BlueSolar range from Victron Energy allow a mixture of simple technology with effective performance ratings for solar power systems. 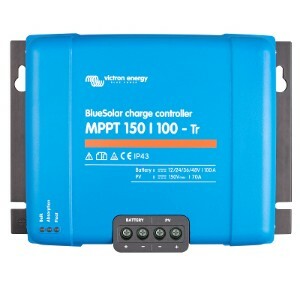 This 30A MPPT solar regulator from can accept a max. 100V solar input and is suitable for 12 or 24V systems. The SmartSolar range from Victron Energy is the latest range with in-built Bluetooth connectivity. Suitable for: up to 500W (12V); 1000W (24V); 2000W (48V). 85A MPPT regulator with 250V input with optional pluggable display. 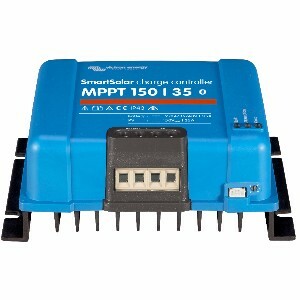 The new range of 250V solar PV input MPPT controllers to allow larger solar panel arrays are now available from us. 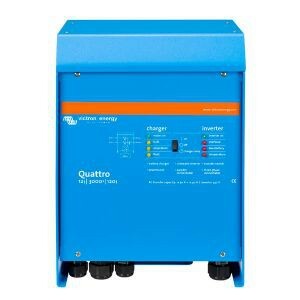 Never content with one market-leading product line, Victron decided that they would produce the most reliable AC inverter chargers in the off-grid market. 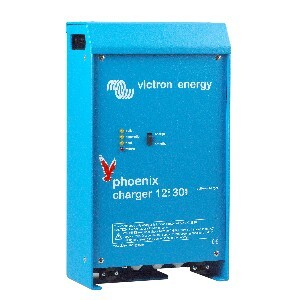 The Victron MultiPlus and Quattro are heavy-duty, powerful inverter chargers to cope with DC-AC power transfer and also battery charging from one or two other power sources, depending on what model you choose; whereas their smaller cousin - the Phoenix inverter specialises in pure sine wave AC output only. 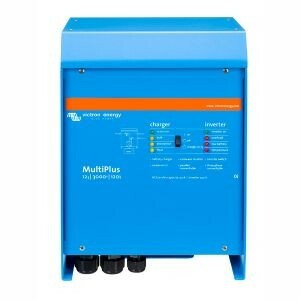 The Big Brother of the Multiplus, Quattro provides additional AC input/outputs for utilising even more power sources, including solar, generator, shore/grid connection and batteries in addition to load prioritising and all the features of the Multiplus. 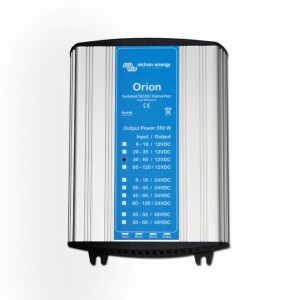 Probably the best step-down and step-up voltage converters in the market, to safely power appliances directly. As Victron started off in the boating industry, this is a mechanical component from those early days - upgraded and made more powerful with each new model. 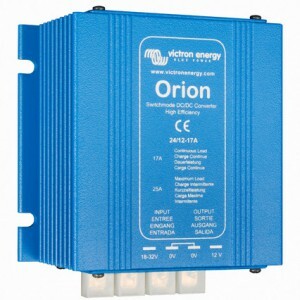 A range of tidy little DC to DC converters, suitable for stepping down from 24V to 12V at a maximum output of 20A. A tidy little DC to DC converter suitable for stepping down from 24v to 12v at a maximum output of 5A. A smart DC to DC converter suitable for stepping down from 48v to 12v at a maximum output of 30A (360W). The new professional battery chargers with built-in bluetooth so that you can set charging parameters straight from your smartphone or tablet on the Victron Connect App. Useful to power devices in your workshop and on motor vehicles, such as classic cars, motorbikes, boats and campervans. 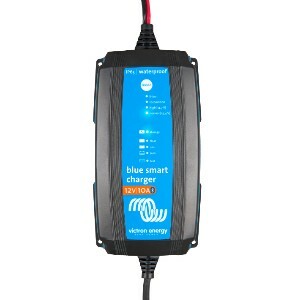 The SMART version of the small universal mains battery charger from Victron Energy. Suitable for any AC input and ready to help keep a 12V or 24V battery bank topped up with integrated bluetooth technology and up to 95% efficiency. 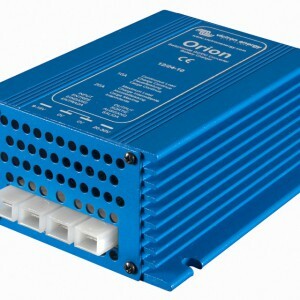 Universal battery charger from Victron Energy. Suitable for any AC or DC input and ready to help keep a 12V or 24V battery bank topped up.